Quantum mechanics places a fundamental limit on the accuracy of measurements. In most circumstances, the measurement uncertainty is distributed equally between pairs of complementary properties; this leads to the 'standard quantumlimit' for measurement resolution. Using a technique known as 'squeezing', it is possible to reduce the uncertainty of one desired property below the standard quantumlimit at the expense of increasing that of the complementary one. Squeezing is already being used to enhance the sensitivity of gravity-wave detectors and may play a critical role in other high precision applications, such as atomic clocks and optical communications. Spin squeezing (the squeezing of angular momentum variables) is a powerful tool, particularly in the context of quantum light–matter interfaces. Although impressive gains in squeezing have beenmade, optical spin-squeezed systems are stillmany orders of magnitude away from the maximum possible squeezing, known as the Heisenberg uncertainty limit. Here we demonstrate how an optical system can be squeezed essentially all the way to this fundamental bound. We construct spin-squeezed states by overlapping three indistinguishable photons in an optical fibre and manipulating their polarization (spin), resulting in the formation of a squeezed composite particle known as a 'triphoton'. The symmetry properties of polarization imply that the measured triphoton states can be most naturally represented by quasi-probability distributions on the surface of a sphere. In this work we show that the spherical topology of polarization imposes a limit on how much squeezing can occur, leading to the quasi-probability distributions wrapping around the sphere — a phenomenon we term 'oversqueezing'. Our observations of spin-squeezing in the few-photon regime could lead to new quantum resources for enhanced measurement, lithography and information processing that can be precisely engineered photon-by-photon. In optics, the Poincaré sphere is a graphical tool for visualizing different types of polarized light, and was introduced by Henri Poincaré in Theorie mathematique de la lumiere (archive.org). We present a translation and analysis of an unpublished manuscript by Albert Einstein in which he proposed a 'steady-state' model of the universe. 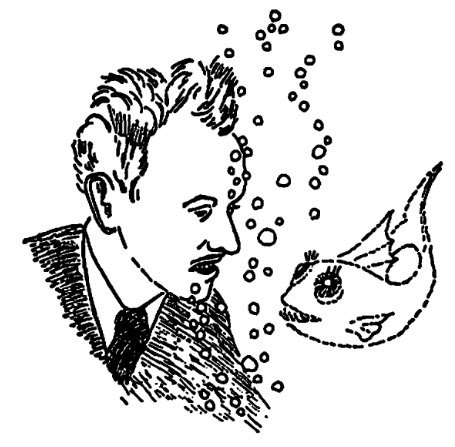 The manuscript appears to have been written in early 1931 and demonstrates that Einstein once considered a cosmic model in which the mean density of matter in an expanding universe remains constant due to a continuous creation of matter from empty space, a process he associated with the cosmological constant. This model is in marked contrast to previously known Einsteinian models of the cosmos (both static and dynamic) but anticipates the well-known steady-state theories of Hoyle, Bondi and Gold. We find that Einsteins steady-state model contains a fundamental flaw and suggest it was discarded for this reason. We also suggest that he declined to try again because he found more sophisticated versions rather contrived. 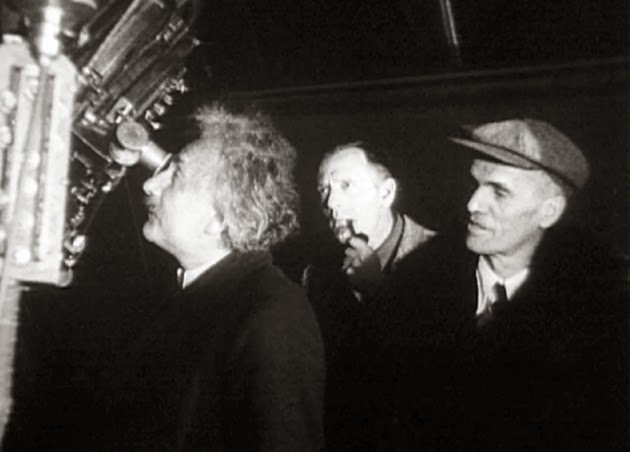 The manuscript is of historical significance because it reveals that Einstein debated between steady-state and evolving models of the cosmos decades before a similar debate took place in the cosmological community. The Known Universe takes viewers from the Himalayas through our atmosphere and the inky black of space to the afterglow of the Big Bang. Every star, planet, and quasar seen in the film is possible because of the world's most complete four-dimensional map of the universe, the Digital Universe Atlas that is maintained and updated by astrophysicists at the American Museum of Natural History. The new film, created by the Museum, is part of an exhibition, Visions of the Cosmos: From the Milky Ocean to an Evolving Universe, at the Rubin Museum of Art in Manhattan through May 2010. The story of the chemistry starting with the first philosophers interested in the atoms, people like Epicurus, Democritus, Kanada. The first chemist, or in other words the first scientist interested in experiments about the reactions between the substances was Jabir Ibn Hayyan. Among his discoveries and inventions we must remember crystallization, calcination, sublimation and evaporation, the acid synthesis and the distillation, using the still, another of his own inventions. In addition to developing methods for the preparation of various metals, he also developed the aqua regia in order to dissolve the gold(1). The revolution in chemistry occurred at about the same time that it happened in physics with Galileo: Georg Agricola in 1556 wrote De re metallica, a basic book for the metallurgical chemistry. From this moment, a lot of books about chemistry are published: the Tyrocinium Chymicum by Jean Beguin in 1610, the first instructional book on chemistry; The sceptical chimist by Robert Boyle, where for the first time the results of Jabir Ibn Hayyan were disclosed in Europe. The first modern chemist was Antoine Lavoisier, engaged in a lot of research in the field of chemistry, and one of the martyrs of science, victim of the Reign of Terror during the French Revolution. Newxt to him she was Marie-Anne Pierrette, his wife, which assisted him with the construction of scientific instruments used in his experiments, in particular for the attempt to refute the theory of phlogiston(2), a mysterious entity who runs away from an object when it burns. 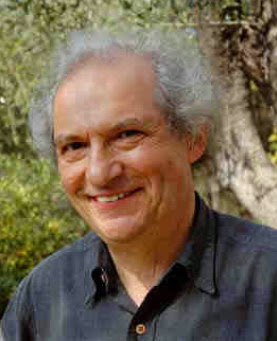 Perci Diaconis is a mathematician and a student of Martin Gardner. He was born on the 31st January, 1945, so, with a bit of delay, this is a way to say (after Rudi Mathematici): Happy birthday! I think he was a late teenager. He was a professional card shark, or a card mechanic, as they call it in the trade. He worked ships between New York and South America. Of course, nobody suspected him of being skillful with cards because he was just a teenager. He was a student at City University of New York, and he paid his way through the university with the money that he got from poker games on ships. At that time Persi was very anxious to get into Harvard. The head of statistics department at Harvard was Frederick Mosteller, who is a magic buff. He was very active in magic, and his picture has been on the cover of magic magazines. I knew Mosteller slightly, so I wrote him a letter and said, "This young student is one of the best card mechanics in the country. He does a fantastic second deal and bottom deal." (Those are terms for fake deals. When you are dealing from a deck, there is a way to deal the second card instead of the top card, and there is a way to deal the bottom card instead of the top card.) I got back a letter right away from Mosteller, which said, "If he’s willing to major in statistics, I can get him into Harvard." So I asked Persi if he was willing to major in statistics, and he said, "Of course!" So he got in, got his Ph.D. in statistics, and is now at Stanford. 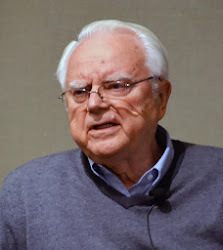 Frank Drake was born in Chicago on May 28, 1930 to Richard and Winifred Drake. Raised in Chicago's South Shore with sister, Alma, and brother, Robert, he had a fairly typical childhood. He is known for the Drake equation and his key role in the foundation of the SETI project. 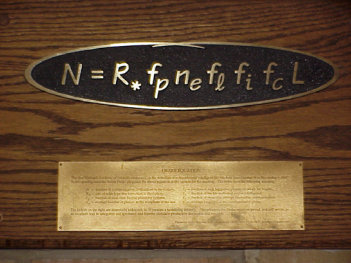 The equation named after him was a mathematical description of an idea that he considered when he was 8 years old(7) and it was formulated by the radio astronomer in 1961 during the Green Bank conference after the seminal paper by Cocconi and Morrison, Searching for Interstellar Communications(1). In 1966 Shklovskii and Sagan added a new term to the equation, $f_g$, the fraction of stars suitable for supporting life(2, 3, 4).